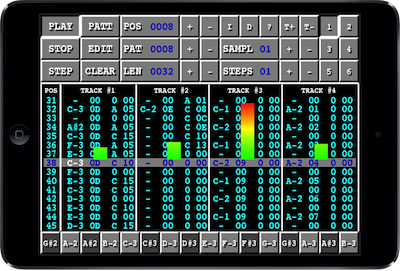 The only Amiga Protracker compatible tracker for iPhone and iPad, now with Bluetooth keyboard support! It is a pure Amiga mod-tracker and you can load, edit, save, or create new Amiga modules with VividTracker. It does not support xm- or s3m-modules. It comes with support for AudioCopy, which means you can copy samples from other great apps such as Korg iMS20, Animoog or Propellerhead’s Figure. You can keep your modules in sync between devices through Dropbox folder sync. If you have questions then please send an email to vividtracker@gmail.com. 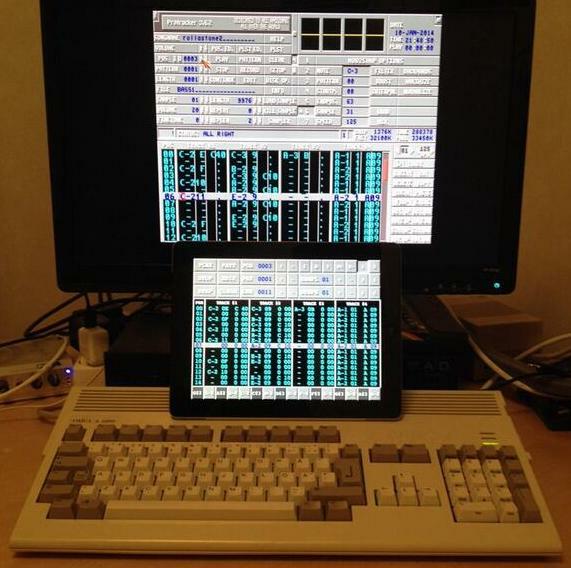 Protracker 3.62 on the Amiga 1200 vs VividTracker on the iPad! 1. 100% compatible with Protracker modules created on the Amiga (this is the aim at least, and so far all the Protracker modules tested in VividTracker are working properly). 3. Supports Audiobus 2: VividTracker can send audio to other apps like GarageBand and Cubasis through Audiobus. 4. Comes with a great sample editor, where you can easily set loop points, cut and paste samples, etc. 5. Comes with Dropbox sync folder support, so you can keep your modules in sync between devices. 6. 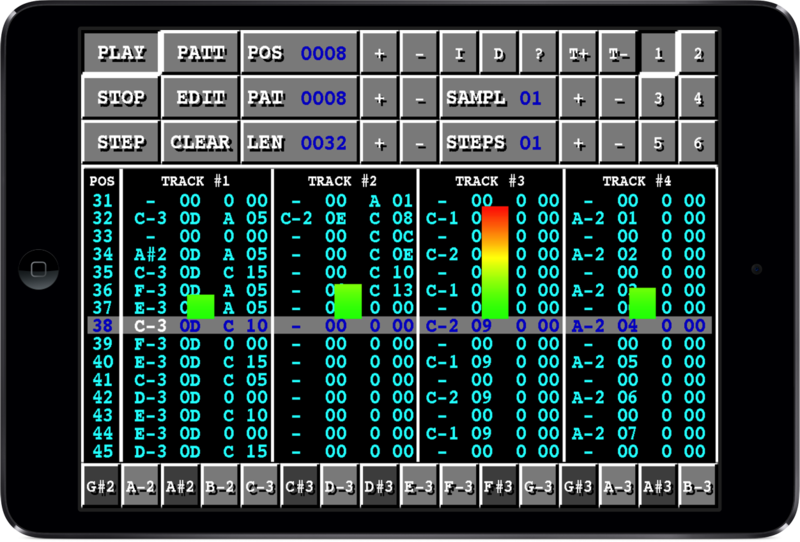 VividTracker has a great feature called AutoChord, in which you can transpose one pattern and track to another pattern and track using the effect 8 command (unused in Protracker). This means you can easily transpose a C-Major pattern into a A-Minor pattern with a simple command. 11. MIDI in support. You can connect a physical MIDI keyboard to your iPhone or iPad and use it together with VividTracker. 12. Bluetooth keyboard support. 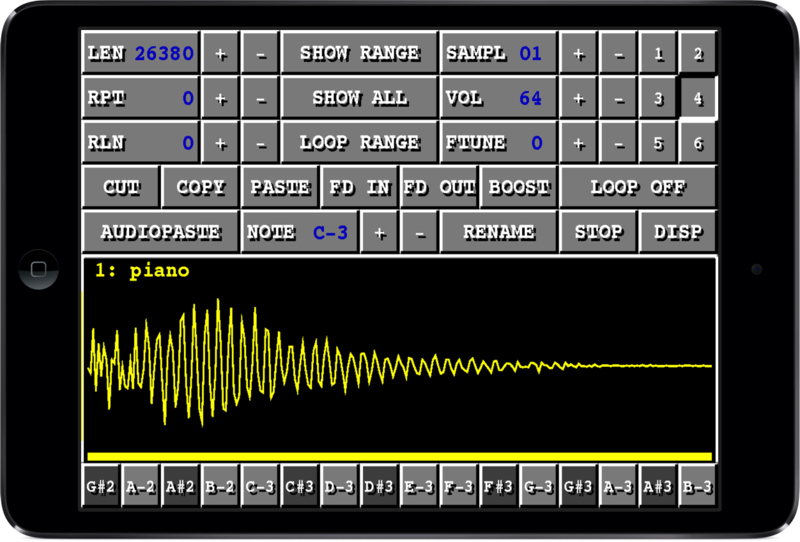 You can use a BT keyboard to play notes and move the cursor, just like in Protracker.